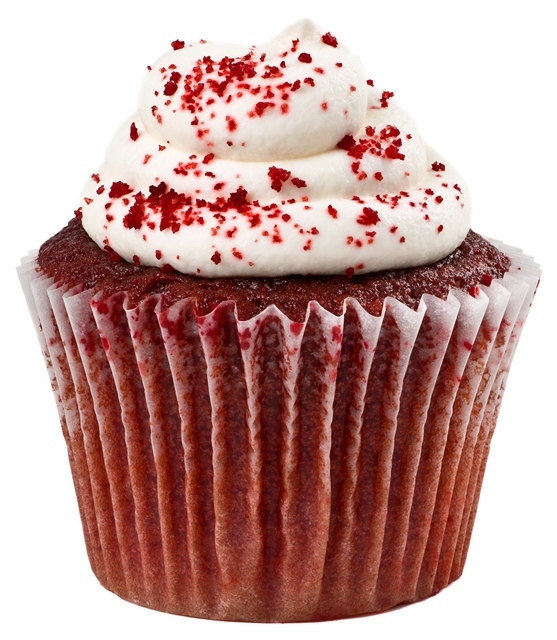 Our scrumptious red velvet cupcake is like no other you’ve ever tasted. It is topped off with dreamy creamy butter cream. 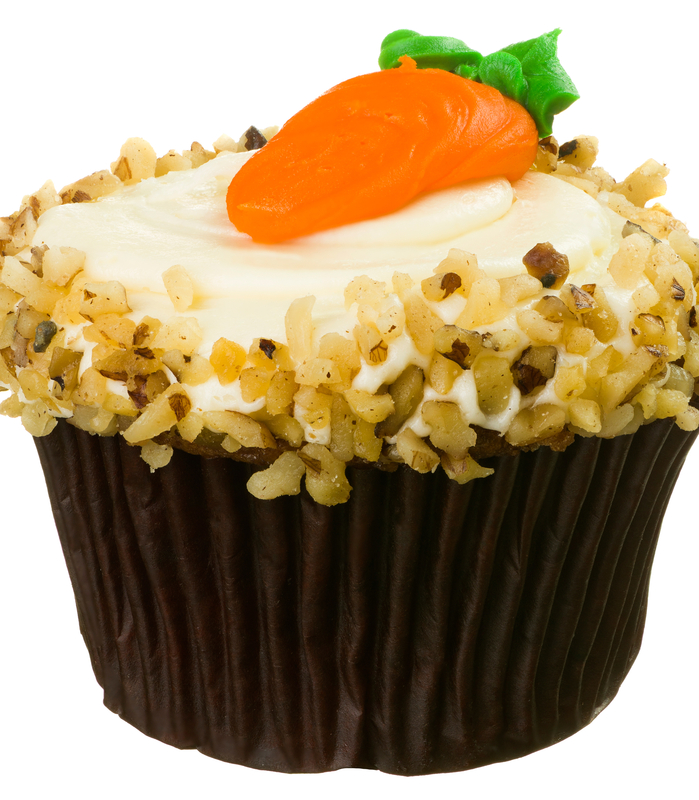 Crazy carrot cupcake is available with or without walnuts. 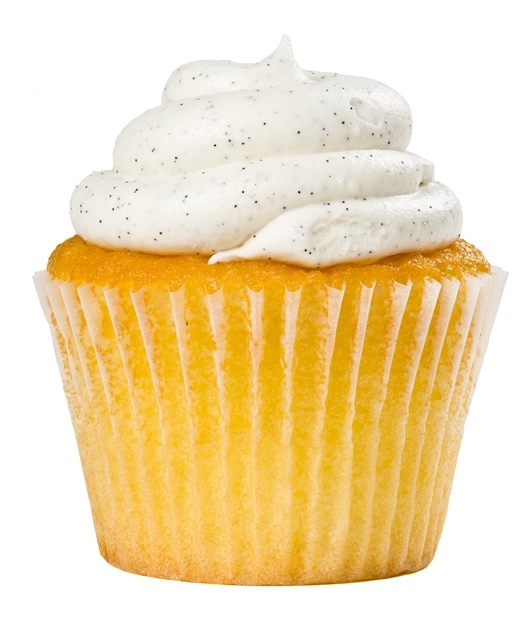 It is topped off with dreamy creamy butter cream icing. Light and delicate and packed with fresh strawberries. Topped with our strawberry cream cheese icing. 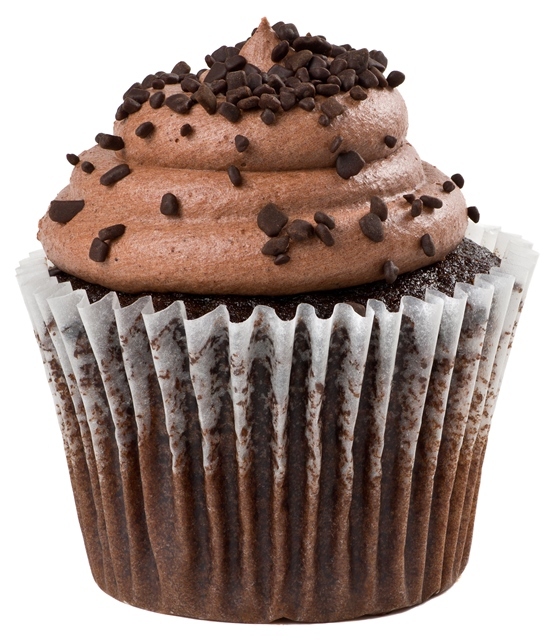 Our to-die-for, decadently dark chocolate cupcake is topped with our silky smooth chocolate or vanilla bean icing. 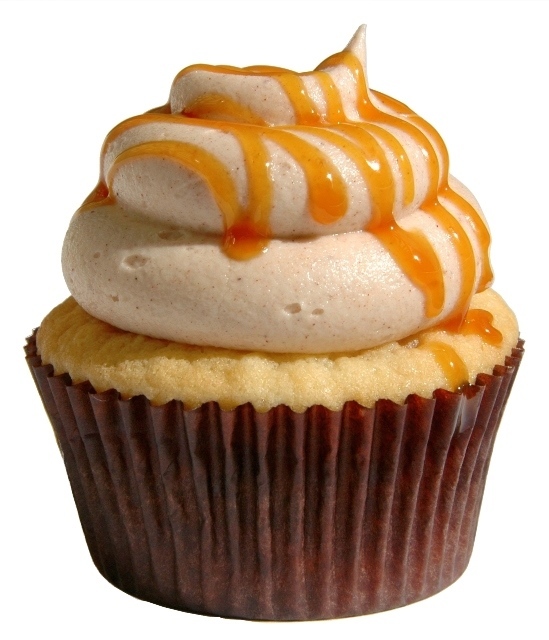 This taste bud pleasing cupcake is made with real apples and delicious honey cinnamon icing. 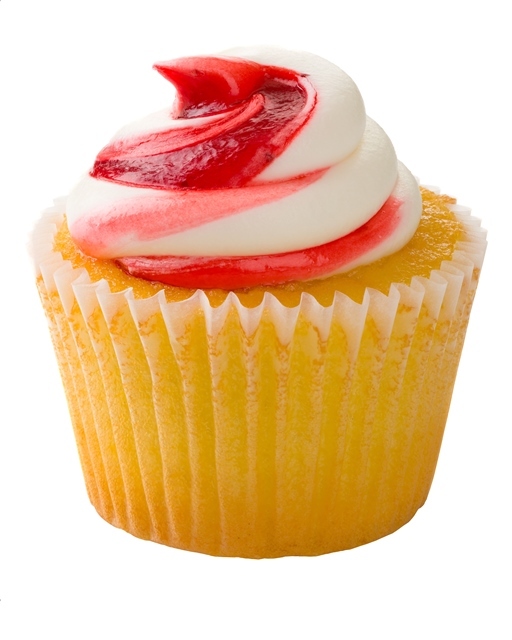 Light and delicate, this cupcake is made with real strawberries and freshly whipped cream icing. Made with fresh vanilla bean, Pap Pap’s favorite is topped with a raspberry drizzle or silky chocolate icing. 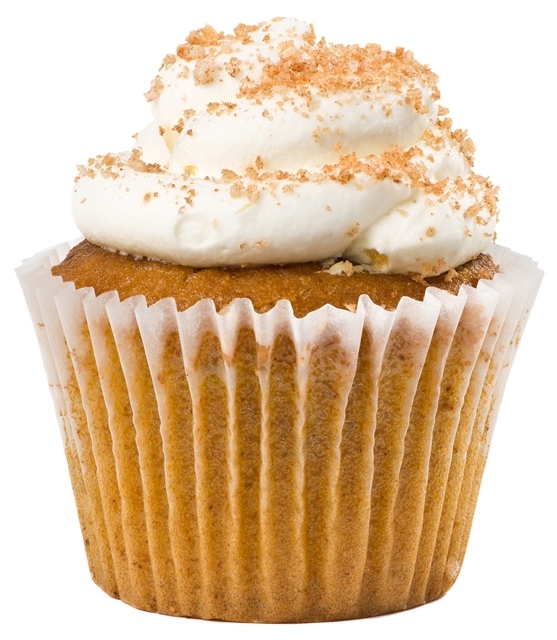 Inspired by great-grandma Eddings’ famous sweet potato pie, our signature cupcake is topped with dreamy, creamy butter cream icing. 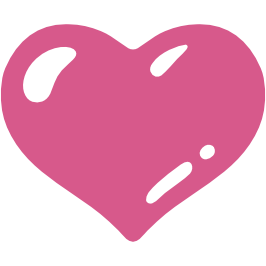 The “secret ingredient” that distinguishes my cupcakes from all others is LOVE. That’s what makes them taste so good! Be the first to know when we have events near you, flash sales, and company updates! 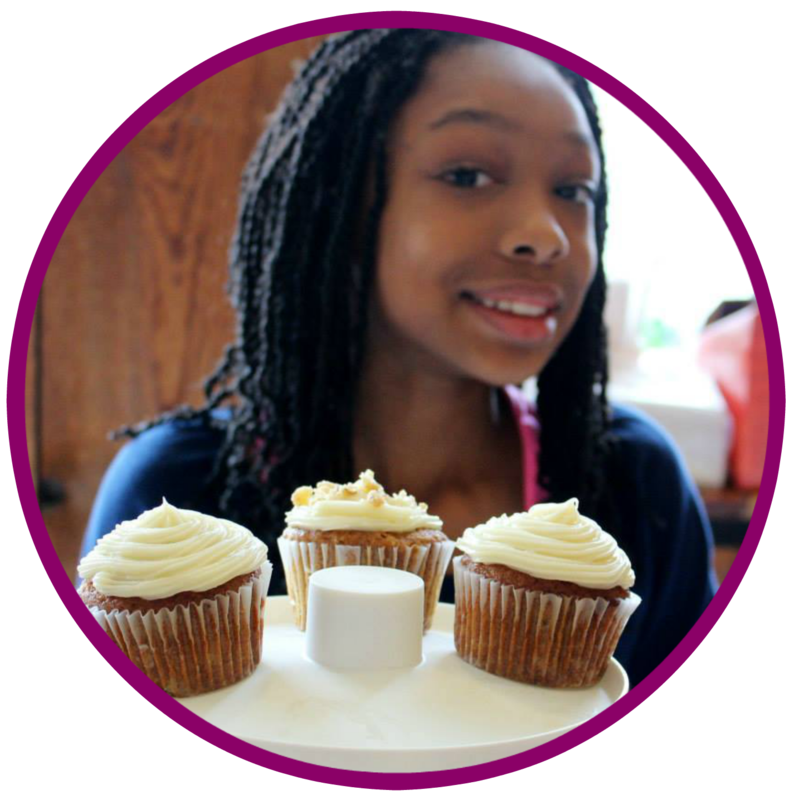 Cupcakes Most Wanted founder, Leah Baker Fowler, is a bright, talented, purpose driven 12-year old foodpreneur who loves baking. Inspired by playful times in the kitchen with her big sister and an encouraging “yes you can” from her grandmother, Leah started Cupcakes Most Wanted under the brilliant tutelage of her mother, Tia Baker, Cupcake’s Chief Operating Officer and breast cancer survivor. Leah’s tenacious work ethic and dazzling creativity has resulted in a flavorful array of much sought after cupcakes that are each named after the person behind their inspiration. Leah’s signature cupcake—and favorite flavor—is Nan’s Sassy Sweet Potato, inspired by the sassy sweet potato pie recipe that made her great-grandma Eddings famous among friends and fa mily. The recipe behind Cupcakes Most Wanted success includes entrepreneurship and philanthropy. Leah and Tia recently established The Leah Baker Fowler Fund with POISE Foundation to provide support to children fighting battles against cancer, as well as other charitable interest as determined by the mother-daughter team. 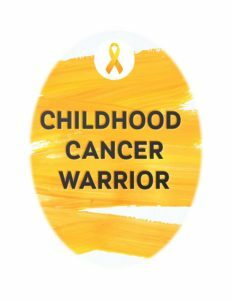 Leah’s interest in helping children with cancer was stirred by her mother’s triumphant battle against breast cancer, her natural philanthropic leanings, a desire to share her good fortune with others and to make a difference in the world. 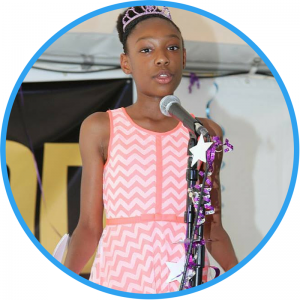 Leah has been asked to speak and share her story of entrepreneurship by organizations such as Girls Coalition of Southwest PA, Miller African Centered Academy and Urban Pathways Charter School and Food for Thought, a mentoring program which explores cooking, health, justice, and possible careers all through food related activities. 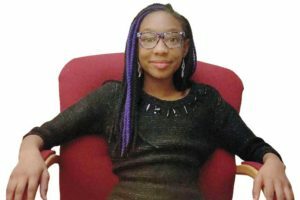 In addition to running Cupcakes Most Wanted, Leah is enrolled at the Milton Hershey School, where she is diligently studying to secure her future and the long-term success of her family company. In her spare time, Leah plays the flute and dances for Pittsburgh Dance Troup, TCDC Dance collective. She recently joined Sistah Speak Youth Project, a mentoring and community organizing program for black girls and young black women ages 12 to 24 and BFLDI (black female leadership development institute) an organization which increases educational opportunities for selected African American girls to expand their leadership skills to make an impact in their communities. Leah and Cupcakes Most Wanted have been featured The New Pittsburgh Courier, Pittsburgh Post-Gazette, Kidsburg and the Soul Pitt. In July of 2014, Leah entered the Taste O’ the Burgh baking contest and won 1st prize, of which she is most proud of. She will tell you that her “secret ingredient” that distinguishes her cupcakes for all others is LOVE. She says, “That’s what makes them taste so good”! 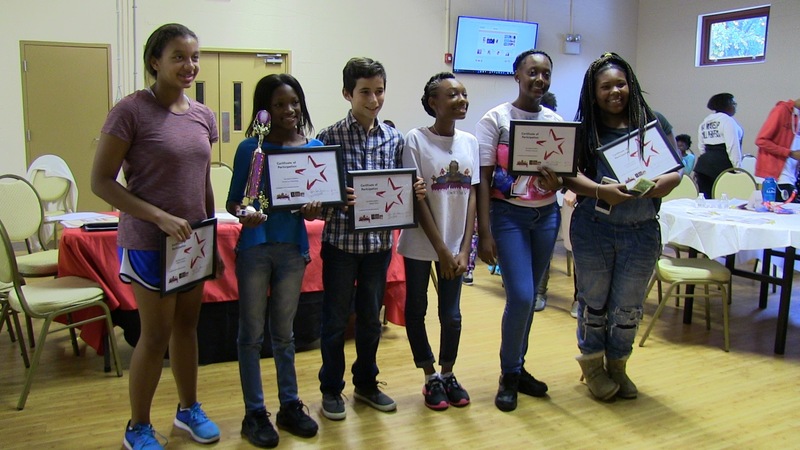 Cupcakes Most Wanted and BMe Present Pittsburgh’s First Annual Youth Cupcake Bakeoff Recognizing 10-14 year olds who have a passion for baking/entrepreneurship! 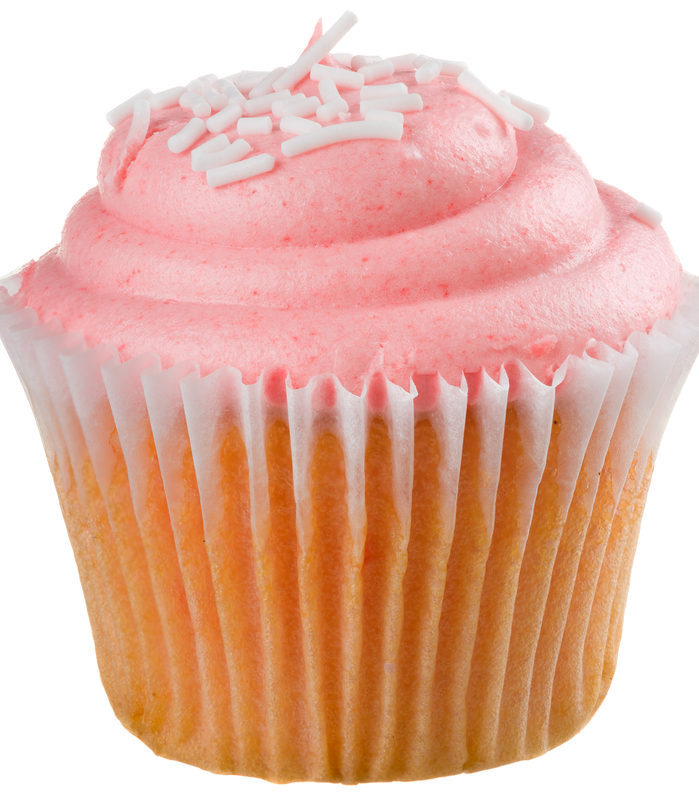 Customer Service – I called Cupcakes Most Wanted 5 times within a 3 hour period. I had to go back in forth between the birthday girl’s wants and what Cupcakes Most Wanted could provide. Everytime I called back I was treated with respect, courtesy, and undivided attention. Delivery – I was able to provide the time and date that I wanted the cupcakes delivered. Not only were the cupcakes delivered 15 min early, but I was sent a text message to let me know the cupcakes were on the way and the expected ETA . Quality of Cupcakes – We ordered the Very Vanilla and Red Velvet. Even though we were supposed to let the Cupcakes sit in room temperature for 30 minutes before eating the cupcakes, we just couldn’t wait! Every bite was heaven on our taste buds. Please give a 3 day notice when ordering 1 to 3 dozen and a 1 week notice for 4 or more orders. Minimum 1 dozen per order. Limit 2 flavors per dozen. Select flavors from menu & indicate any other specific changes using the DETAILS BOX below. Deliveries are subject to a fee based on location.